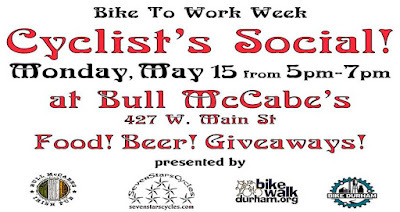 Time for our annual Bike Month post. 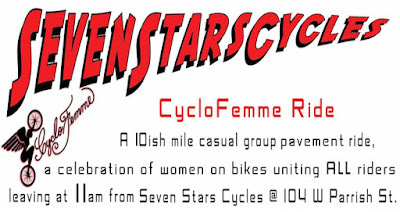 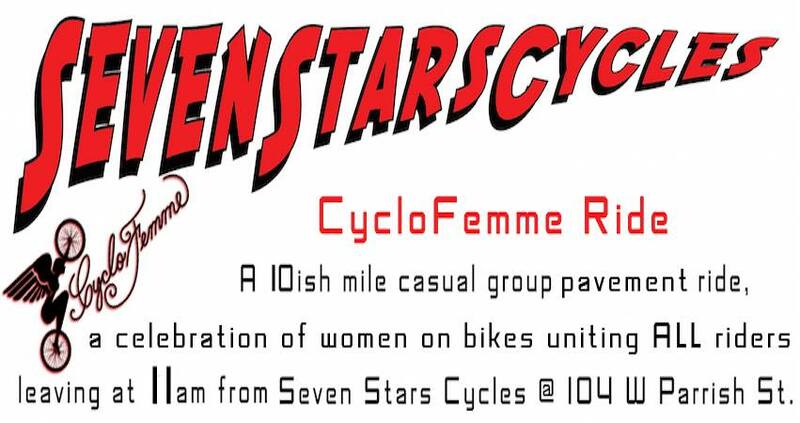 We will again be hosting both our Cyclofemme ride and Bike To Work Week kickoff, falling on the 14th and 15th respectively this year, as well as helping out with the Lakewood Elementary Bike To School Day ride. 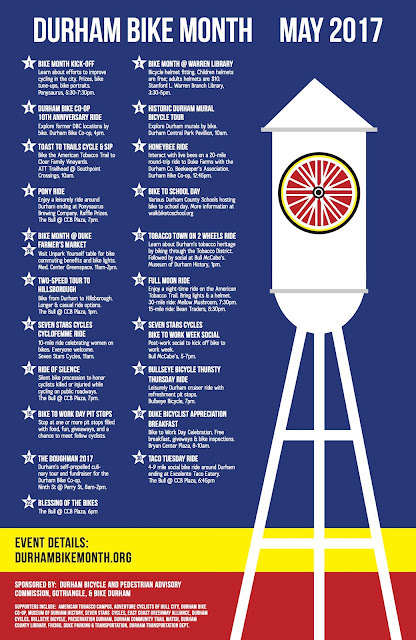 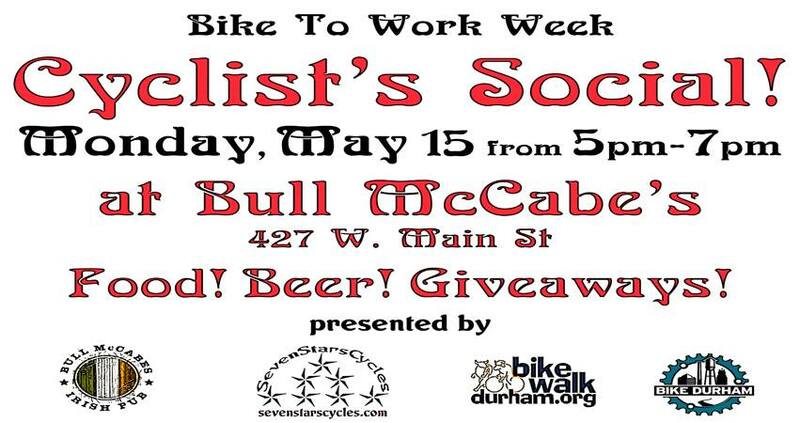 Lots of other events happening as well, check out the flyer below or go to durhambikemonth.org.